For All Types Of Commercial and Residential Roofing Services, Contact Airborne Roofing. Always affordable and fully insured with years of experience in the industry, our roofers can get you set up with a metal roof or fiberglass shingle installation. Not to mention we offer yearly inspections and maintenance on any newly repaired, installed or replaced roof to help maximize the benefits and lifespan of your roof. 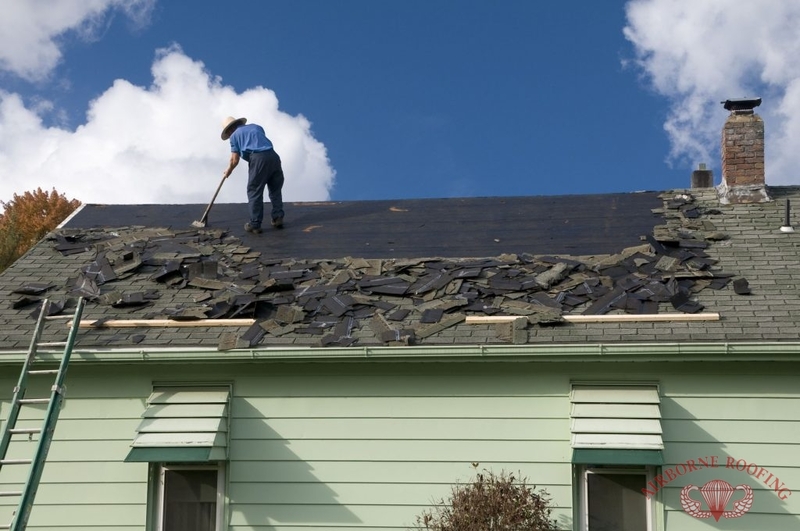 A residential roof is one of the most important aspects of home-ownership; a roof that has not been serviced properly is bound to crack, have shingles tear off and erode over time, leaving you and your family with unnecessary costly maintenance. At Airborne Roofing, we provide residential roofing services such as roof repair, metal roof repair and gutters, window and siding inspection. If you are experiencing any issues, or need licensed experts who will work with you to give you the roof of your dreams, contact us today to find out more about our residential services from Airborne Roofing. 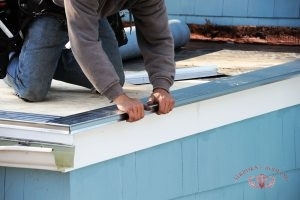 For Shingle Repair To Gutter Maintenance, Contact Airborne Roofing To Get Started. As your business grows, so does your need for a suitable work environment for your employees and visitors. Overtime, you may experience the occasional leak or crack within your building, and have simply let it go – these are not to be overlooked, as a simple crack can lead to bigger issues that may require you to leave the building for a time. At Airborne Roofing, our commercial roofing services can assist you with any issue – big or small. We provide flat roof repairs, modified bitumen roofing and white rubberized coating to give your roof the extra protection against the elements and physical damage that can occur overtime. For quality residential and commercial roofing services, contact the expert roofers at Airborne Roofing today at (856) 662-1382 . Updated on September 21, 2018 at 2:43 pm by Airborne Roofing.